I dreamed of putting my thoughts, beliefs, and stories into the world, and when I made it happen, the thrill was beyond! Most of all, it gave me first-hand knowledge to help my author/clients bring their books to life. Are you exhausted from pretending to be happy in a world that doesn’t want you to talk about real issues? Are you fed up with people who insist you should be grateful, positive, or civil? Do you want to speak openly about crucial topics that need to be faced right now? 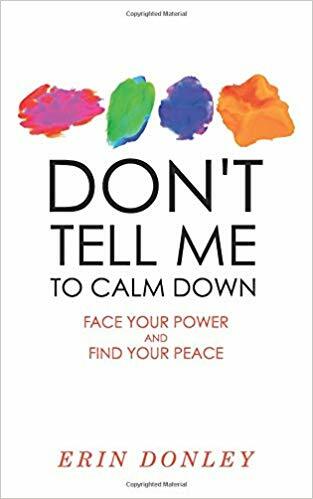 Don’t Tell Me to Calm Down is a resource for those who want to feel all their feelings, speak their truth, claim their boundaries, and advocate for issues that matter to them. • Examine your feelings to discover what you truly want. • Manage your emotions to support your next steps. • Control your thoughts to find peace and productivity. • Focus your message to be more clear and effective. Don’t Tell Me to Calm Down is an invitation to free your voice, reclaim who you are meant to be, and successfully guide your relationships, especially the one with yourself.